After exploring several basic ways to increase the viewers to your site in part one of Tips to Grow Traffic without Breaking the Bank, in Part Two we expand further with several important free methods. The tips we will discuss today include harnessing the power of long-tail keywords, the benefit of posting content to LinkedIn, utilizing internal links, and paying attention to SEO’s. Grow Traffic the Way the Experts Do! 1.) Long-Tail Keywords – From time to time, bloggers tend to discover exceptional key words with little effort and without utilizing the power of keyword tools. Although you may not need keyword tools to find key words, experts highly recommend that you use them to dig-up long-tail keyword variants of your main topic. Elisa Gabbert of WordStream says, “Using Long-tail terms in your content will help you rank for a wider range of keyword searches”. 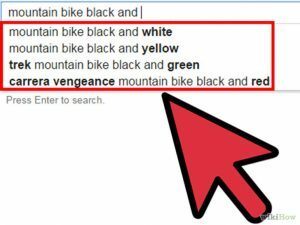 Google suggest is a great way to come across long-tail keywords without using the keywords tool in order to grow traffic without breaking the bank. Researching long-tail keywords can be very helpful on narrowing in on your main topic and getting as specific as possible as well as providing you with options on how you can expand as well. Lastly, Eliza Gabbert of Wordstream mentions that you should, “use long-tail keywords in subheads, image file names, your meta description, not just the regular text. 2.) Utilize LinkedIn – Most people know LinkedIn as a professional platform for social networking, enabling users to make connections with family, friends, clients, and industry leaders. Now, LinkedIn is the largest professional social networking platform, Dan Shewan of Wordstream believes that, “you should be posting content to LinkedIn on a regular basis. Doing so can boost traffic to your site, as well as increase your profile within the industry”. Posting quality content to your blog can stimulate, educate, and engage your connections. This is a very effective way to becoming an influencer and growing traffic to your site. The new LinkedIn Publishing Platform is an exceptional way to reveal your blog content and grow traffic to your site. Additionally, if your blog is featured on LinkedIn Pulse because of your excellent content, you will experience a dramatic increase in viewers. 3.) Internal Links – It is very important to make sure you do not cluster your content with numerous internal links. Structurally utilizing the words you hyperlink to coexist with yourcontent as well as maintaining a good description of where the viewer will be sent is a great tactic to spike interest and grow traffic. Elisa Gannert of Wordstream mentions that, “the main reason to practice regular internal liking is that it makes your site stickier”. Being able to minimize the bounce rate of your site viewers by incorporating an internal link that sends to them to similar topic you wrote about can be very effective in retaining viewers and spreading in the blogging community. 4.) Enhancing SEO’s – Search engine optimization is far from being useless when it comes to growing traffic and bringing a larger audience to your site. Ashley Robison of Independent Fashion Bloggers reveals that, “At the heart of SEO is this concept: what are internet users searching for and how can I help them find it on my site?” Robison also mentions that a majority of the search engines read only the first 60 characters so it’s imperative to make sure your content titles and permalinks match strong keywords. Additionally, some other great ways to enhance SEO and grow traffic for free like the experts do is to utilize keywords and descriptive language, incorporate IMG ALT Tags, and making sure to fill in your Meta-Tags. Applying even just some of the suggestions in both part one and two of Tips to Grow Traffic without Breaking the Bank will go a long way in helping you to promote your blog, increase readership and grow your audience. In our next post, we’ll look at several smart ways to build your online presence, stay tuned! The tracking ones - please confirm, if you accept our tracking cookies. You can also decline the tracking, so you can continue to visit our website without any data sent to third party services.